Local organizations who know young children offer workshops and events to connect families with experts. Come with your child, come learn more, come meet other parents and children at the same stage you are in! 5. Center for Midwifery Workshops -- Ongoing, Northampton -- Babies! Ideas and inspiration for talking with kids aged 0-10+ about racism, whiteness, and white supremacy culture, and the need for racial equality and justice. If you can only attend one session, please come anyway! Childcare and light snacks provided. QUESTIONS: Kristen Elde at elde.kristen@gmail.com or 206-714-4899. WHY DO THEY DO THAT??! Childcare will be provided but must be reserved. Sarah Patton is a LICSW, HHC educator. 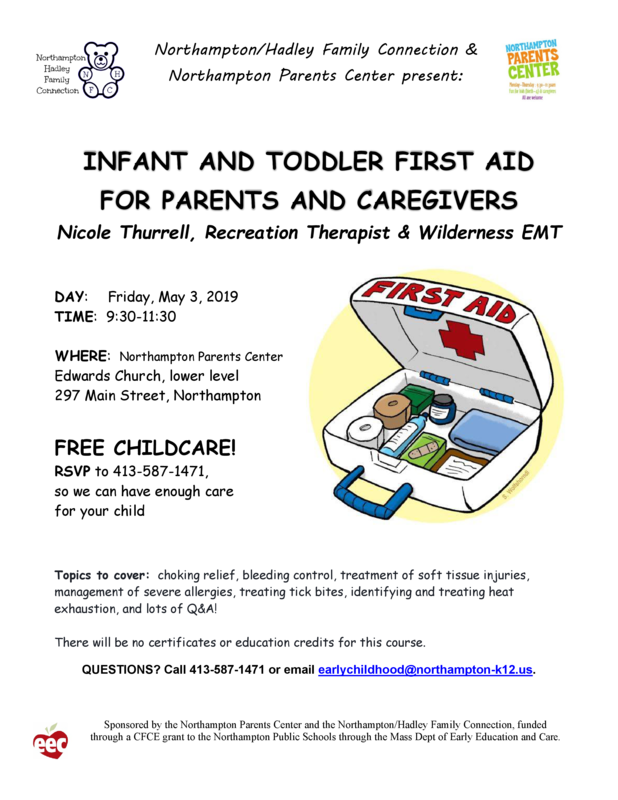 Come learn how to handle common emergencies for young children. 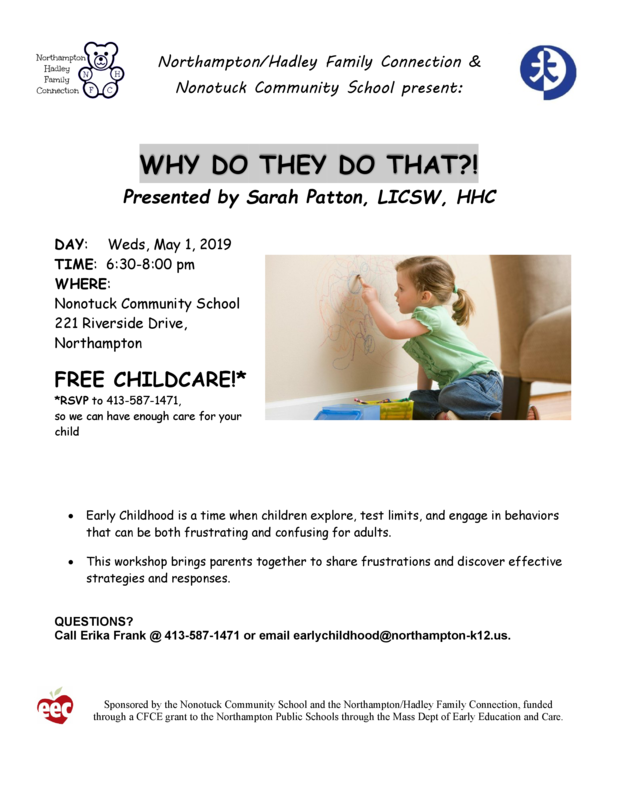 PARENTING WORKSHOPS from Northampton Area Pediatrics!